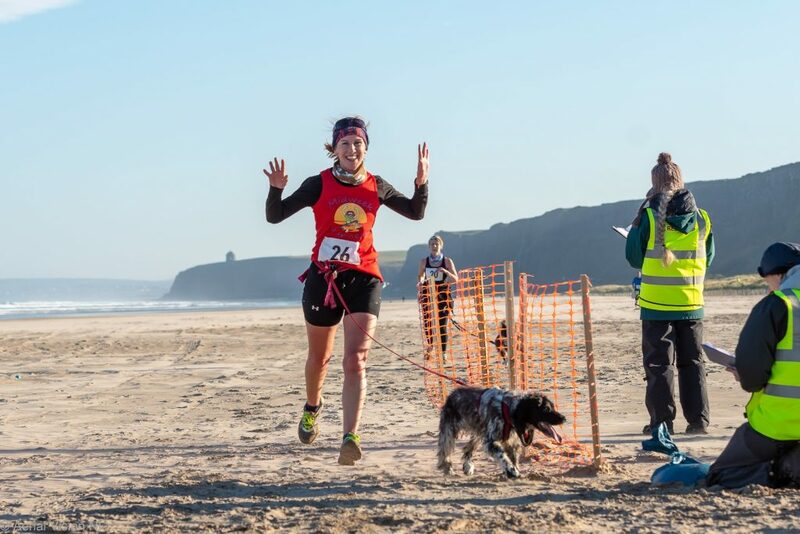 This month was a busy month leading up to our first Canicross race at Benone Strand in Limavady. 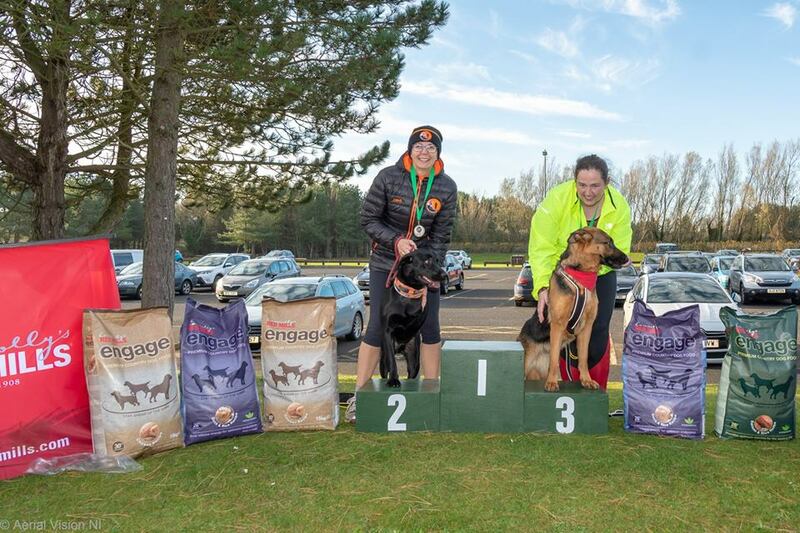 Over 50 competitors and their dogs ran in a 5k and 3k race, which involved a seeded start, with each competitor setting off a minute apart. The race route started on the narrow windy sand dunes trails, before heading out onto a wide soft sandy path that led the runners through the dunes to the umbra water crossing. 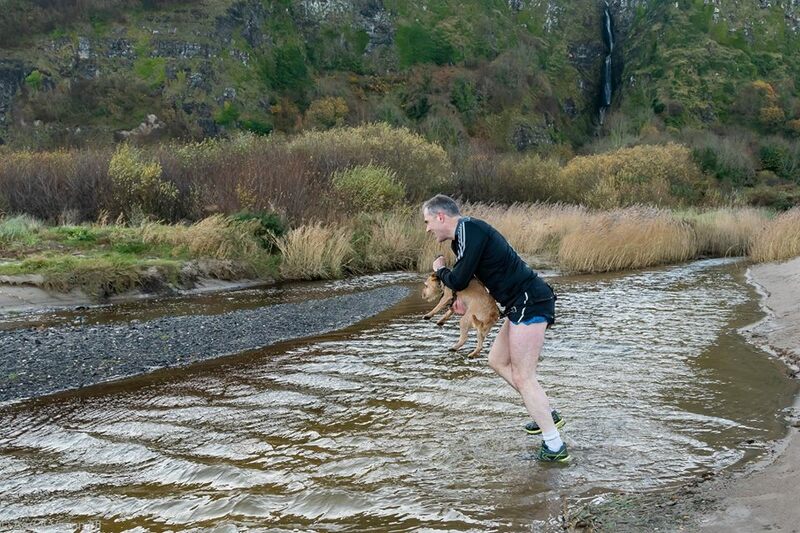 Once at the umbra water crossing the competitors had to splash across the river, with some of the canine competitors needing a little helping hand! After the water crossing, competitors had to run a stretch of beach, about turn, and then cross the umbra again. From here the course led onto another series on technical dune trails before heading onto the beach for a photo finish! This race was quite the challenge as there were sections of soft sand, so we bet there were some sore legs the next day! 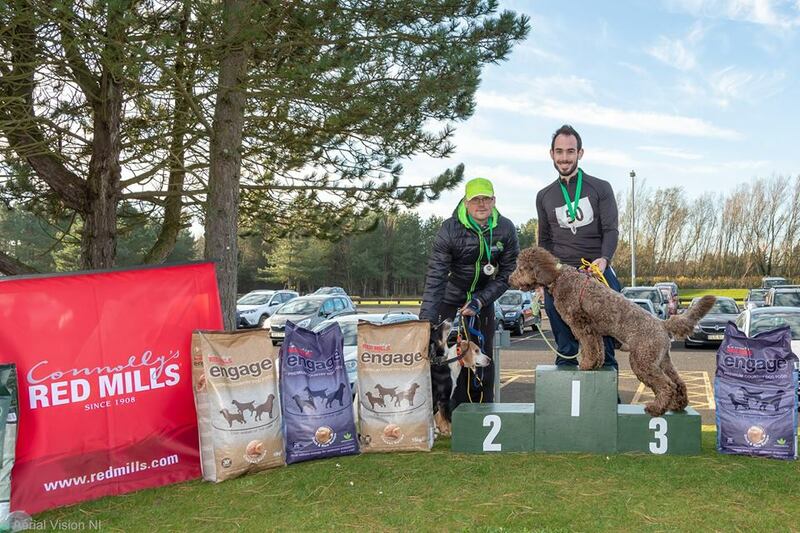 Thank you to all the competitors, we hope you and your furry race buddy had a great day out. Thank you to all our sponsors for supporting our first event. 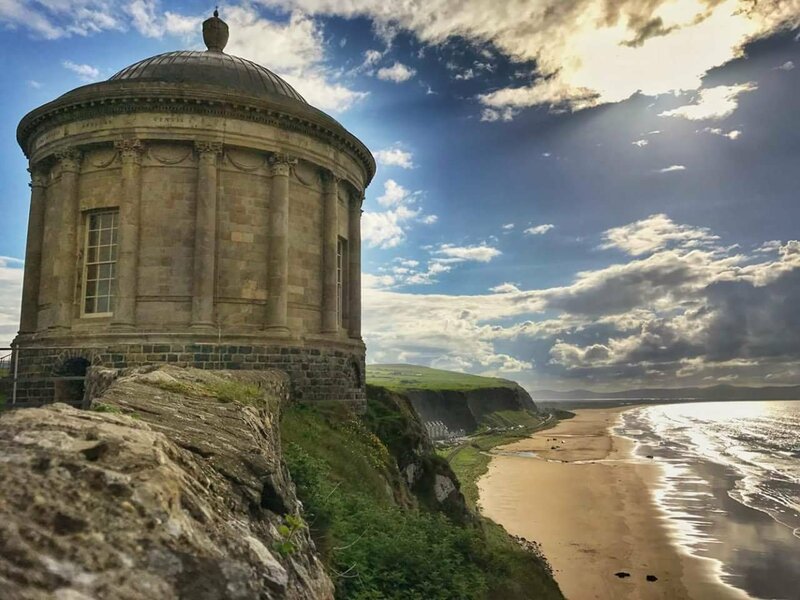 Thank you to the Benone strand tourist complex for accommodating our competitors, and also to the Waves Coffee Shop and The Sea Shed Coffee Shop for serving our competitors. A special mention to Red Mills who were our main sponsor. 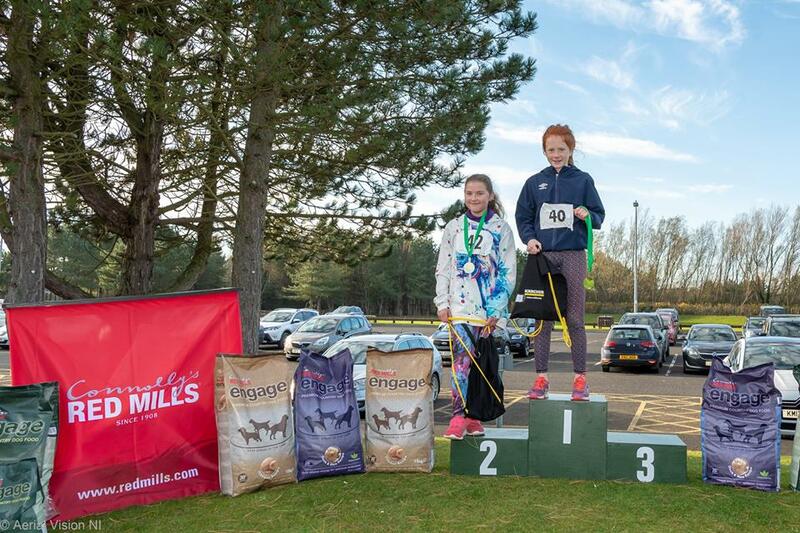 We were delighted to have Red Mills on board with us for our first event. 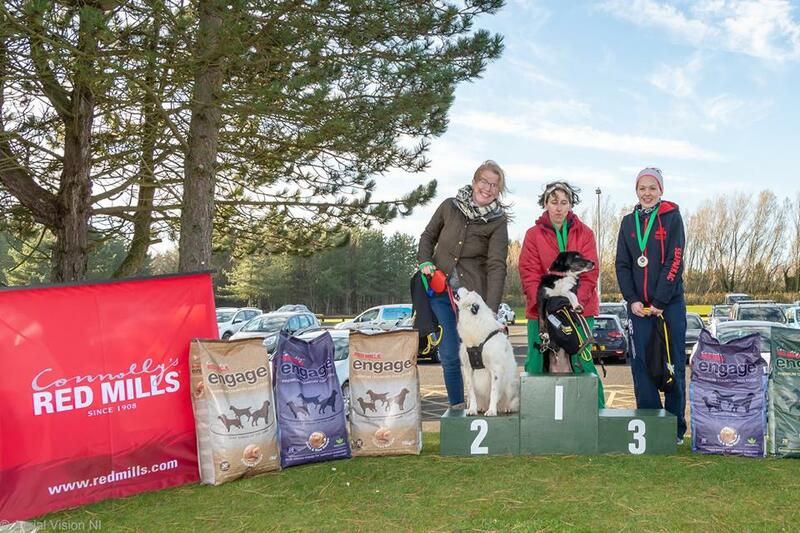 Red Mills have been in the pet food business for a long time, and have a reputation for converting fresh, natural ingredients into the most trusted feed for peak performance. For race photos please see Diane McFarlane Photography and Aerial Vision NI. Thank you to you both for your support. We are excited to announce we are planning our next race in early March 2019. See below for a sneak peak of the potential race course, keep it a secret if you know where it is until we officially announce! 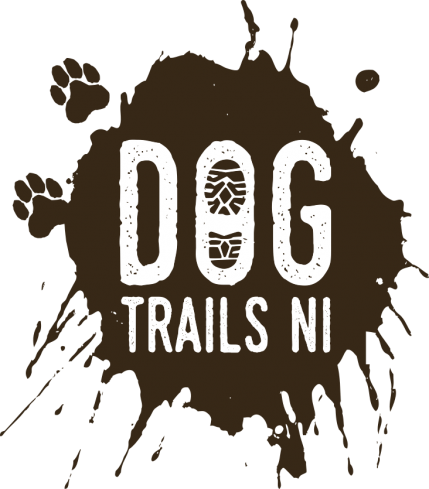 This location is set in a beautiful woodland, with grass trails and plenty of twists and turns to excite your dog.  Our goal is to grow the sport and bring happiness to dogs and their owners across Northern Ireland. 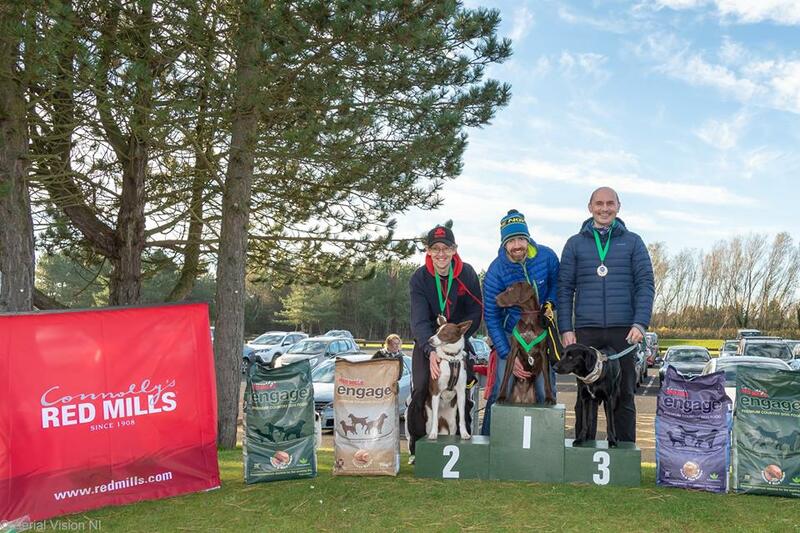 We love Canicross and what it brings to our lives as dog owners. 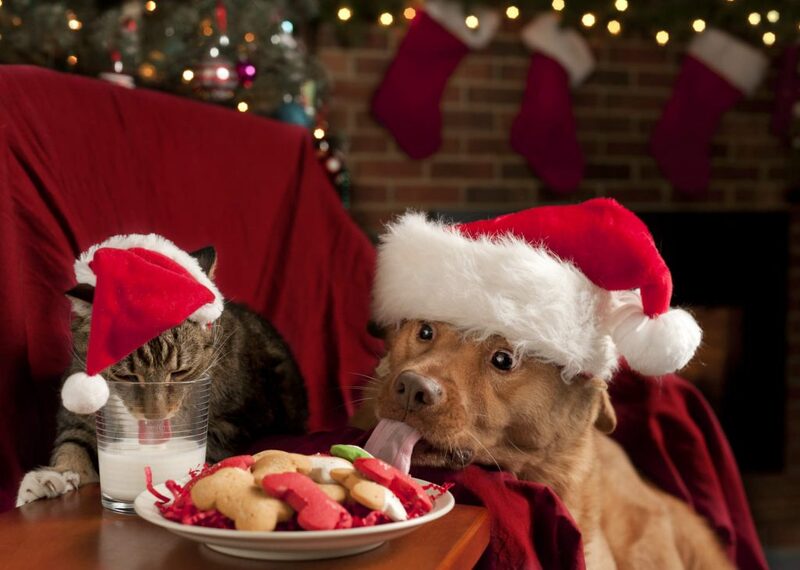 We have teamed up with our pal Louise from Pawsitive Fitness who is based in the Dublin area. Louise specialises in Bikejor, a popular way of exercising and competing with your dog if you don’t fancy running! Louise is truly passionate about cani-sports, and loves it just like we do from a personal and professional perspective. We are currently organising something exciting for everyone in the not too distant future…..watch this space! Classes this month seen us preparing for the Benone race. Two of our regular class members took podium places, with our other members running strong and confident, all the hard work and those sprints at the end of class pay off! We had a new challenge with our regular class member Christine and her deaf dalmatian Cooper. We used different numbers of tugs on the line to indicate direction, as well as hand signals and even a tap on the tail! Using a short line helped keep Cooper in close to Christine so that she could give him good boy pats! 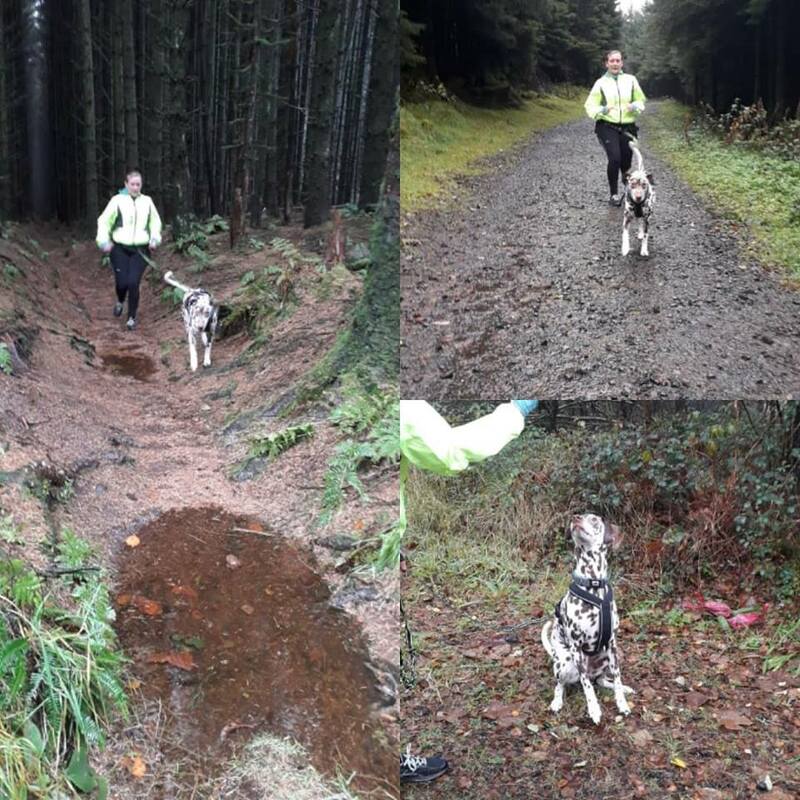 Certainly will need lots of practice, but a positive start and a happy dog! Three Legs? Amazing. Bobby even competed in the 3k race! Next month will be the usual classes getting ready for the festive season. It is important at this time of the year to keep up our fitness training, this is the time to focus as it will give you the edge next year and to continually improve. We will be having a break over the holidays to have some down time, but will be hitting the ground running, ready for a busy and exciting 2019!